Ich freue mich auf Ihre Anfrage unter: atelier@entrenous.ch. Last weekend I had occasion to give a course in pattern making for corsetry to the two of my collegues – both trained tailors. One of them worked for herself and the other brought a model. Both were very glad with the near perfect fitting already by the first fitting. 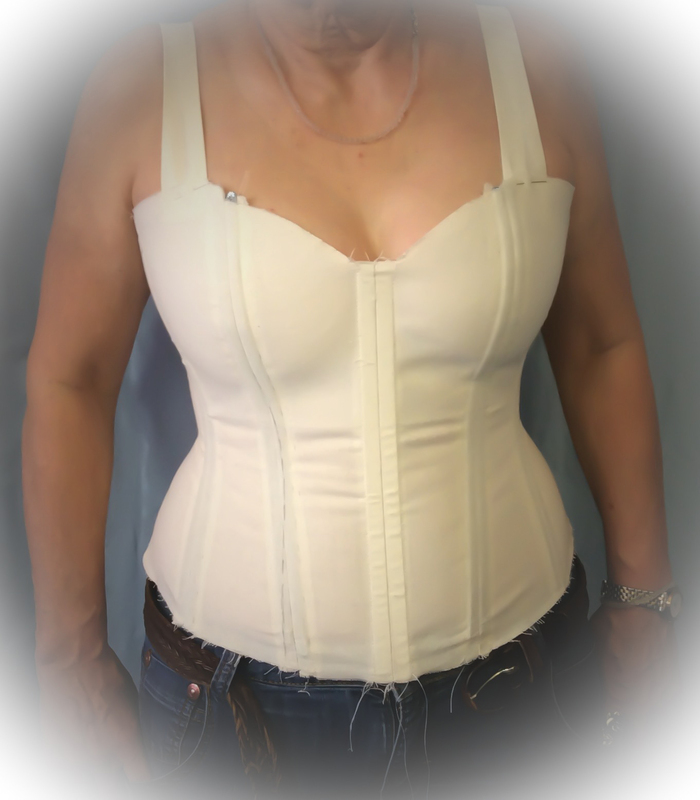 Anybody intersted in learning corset pattern drafting, can book the course individually . I can gladly teach also abroad and will present you my offer if asked. Please contact me at: atelier@entrenous.ch. Falls Sie eher an einem fertigen Schnittmuster in Standard-Grösse interessiert sind, so stehen Ihnen unsere Schnittbücher zu Verfügung. Nächste Gelegenheit zum Kauf z.B am 23. 05.2015 anlässlich des Lagerverkaufs. 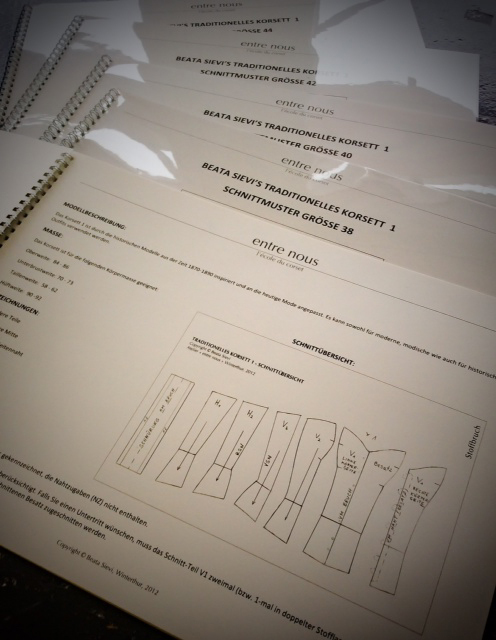 If you are rother interested in our ready to wear patterns in standard sizes here they are: Preis CHF 55 per size.